Ed Norton is one of the most critically acclaimed actors of his generation. He’s also been in several great movies, like Fight Club, American History X, and Primal Fear. 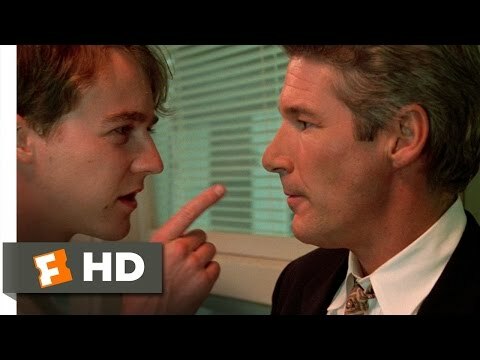 Here are Edward Norton's greatest movie scenes in his career, compiling which was no easy feat, given how many great performances he's turned in. The American born actor made his big screen debut with Primal Fear in 1996 at the age of 27. He not only did he kept up with veteran film star Richard Gere in the movie, but also earned an Academy Award nomination for his portrayal of duplicitous altar boy Aaron Stampler. 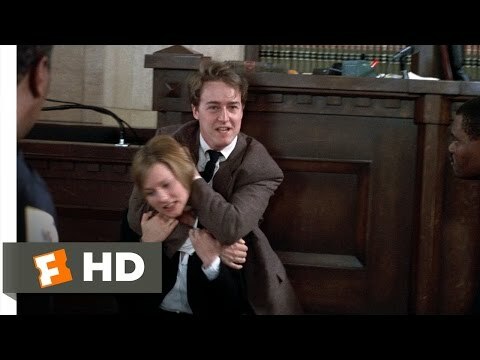 In his first movie, you can already see some of the best scenes in Edward Norton's career. It takes more than just great actors to create a memorable scene in a film. Norton has also had the insight to surround himself with a lot of talent behind the camera. 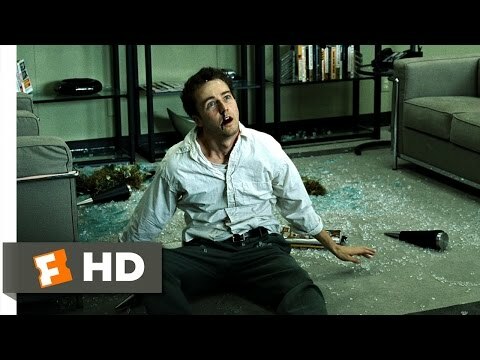 One of the best Edward Norton scenes comes in David Fincher’s Fight Club. It’s the scene in which an IKEA catalog literally comes to life. Norton is just the voice-over in the scene; it's Fincher's clever use of CGI that makes the scene so iconic. Norton has also worked with several other acclaimed directors: Spike Lee, Milos Forman, Wes Anderson, and Alejandro Iñárritu. Ed Norton's best scenes will make you laugh, cry, and even make your jaw drop. Check them out and then be sure to vote up for the best scenes in Edward Norton’s filmography. You can write a book on what Norton brings to Primal Fear, in his portrayal of Aaron, a whimpering altar boy on trial for murder who also happens to have a split personality. Norton so convinces the audience of Aaron's pathetic demeanor that when his polar opposite personality, Roy, emerges, it's startling. The scene is also so good it's worth watching again and again, for th epower of the turn and to relish in all the stellar details both Norton and Gere bring to the table. Fun fact: Norton's physical aggression with Gere was unscripted, and Gere's surprise in the scene is genuine. David Fincher takes Ed Norton's Narrator (Jack, if you will) to outlandish physical extremes. The Narrator literally beats himself up, smashing against furniture, shattering glass, and throwing himself around by the necktie in front of his boss for the purpose of blackmailing him. His boss is in such disbelief that all he can do is watch in horror. Norton's physical dedication to the scene, and the deep sense of his fracturing psyche that comes across, shows the preternaturally gifted thespian at the top of his game. It would be easy for an actor to turn the part of Aaron, in Primal Fear, into an amateur pantomime of ticks and grand gestures. The role calls for a swing in personality from a shy, stuttering altar boy into a hard living, super intelligence, very aggressive con man in a single scene. As it turns out, the whole thing is an act, meaning the actor playing Aaron must be so ruthlessly intelligent that the audience believes his scheme. Enter Ed Norton, who pulls all of this off so well it's frankly difficult to believe it was his first movie. So needless to say, this one's disturbing. The curbing is perhaps the scene most talked about when someone brings up American History X, and with good reason - Norton's rage and unapologetically ugly, deeply hateful performance makes the scene very difficult to watch (as does the totally over-the-top and somewhat inappropriate music). It's acinematic moment that makes you want to look away, but know that you can't. The scene, like most of Tony Kaye's film, is shocking.